Marketers who rely on webinars as part of their lead generation strategy know how important follow-up and nurture can be; with a highly engaged prospect investing time in attending or watching a webinar, accelerating follow-up can improve conversion. 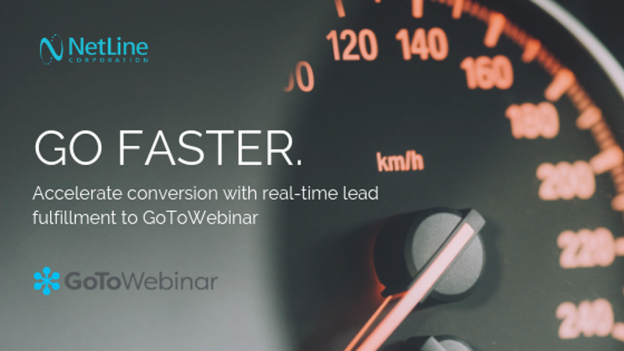 For our customers utilizing the NetLine network to promote their GoToWebinar events for lead generation, real-time lead fulfillment makes it faster and easier to nurture webinar leads. The NetLine Portal can connect to GoToWebinar in a few simple steps, providing immediate fulfillment that enables rapid analysis of leads and fast turnaround into a lead nurture or follow-up path. Check out the PDF, watch the video, or skim for the highlights below. 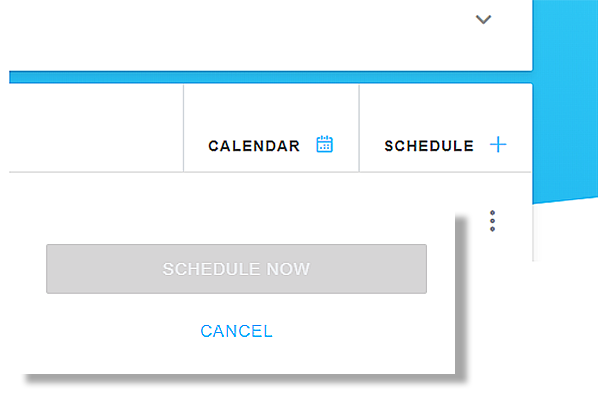 Use the Schedule feature to set up the date and time of your webinar and click schedule when finished. 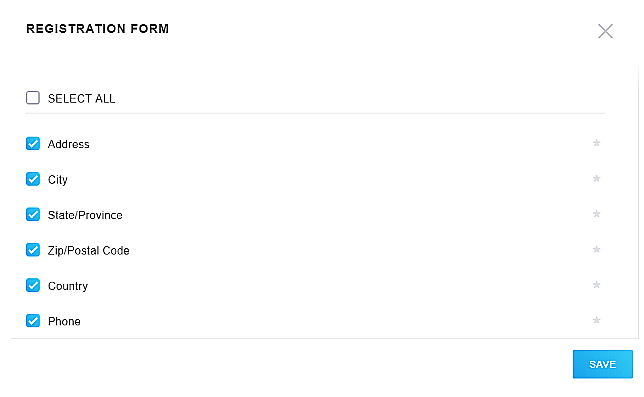 In the Registration section, click “edit” underneath Registration Form and check off the boxes of fields you want on your form. 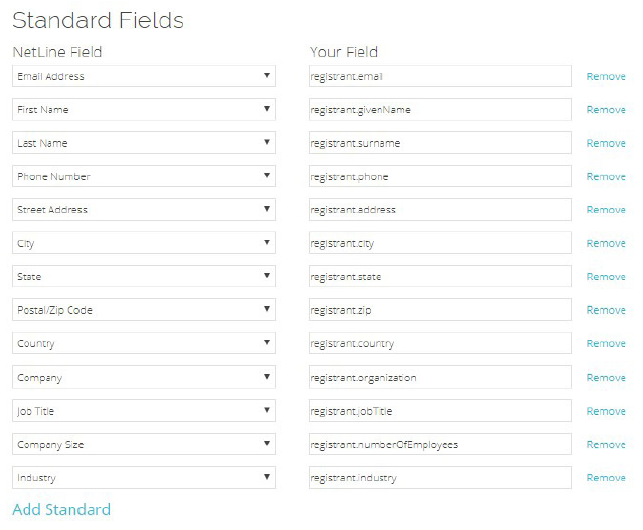 In the Portal, edit each field so that it only displays the fields that are on your GoToWebinar form. This section includes the standard information we collect on leads, such as: First Name, Last Name, Email, Company, Title, Address, Phone, etc. This section includes any custom questions that are part of your campaign and any offer names for your content. These will only be sent through if they are on the GoToWebinar form. If you can’t locate your custom question values, contact portal-support@netline.com. 6. Test your connections and voila, you’re done! Once all of the settings are configured, click Submit to close out of the setup process. From the Portal, click Send Tests. Check GoToWebinar to verify that the test contacts were sent through properly; in the Portal, toggle Enable Connector to “Yes” and Release Connector to “Yes”. Click Next to advance to the next step and save the connector. You can complete this process without needing to submit your campaign, so if you need to come back, everything will be connected and ready to GO. *Professional driver on a closed course. 🙂 Don’t do that. Want to get started with your own NetLine Portal account? Create your free account to see how it works and start generating leads with content. Posted by Elizabeth Johnston on January 23, 2019 .